I’ve never been to Disney World. 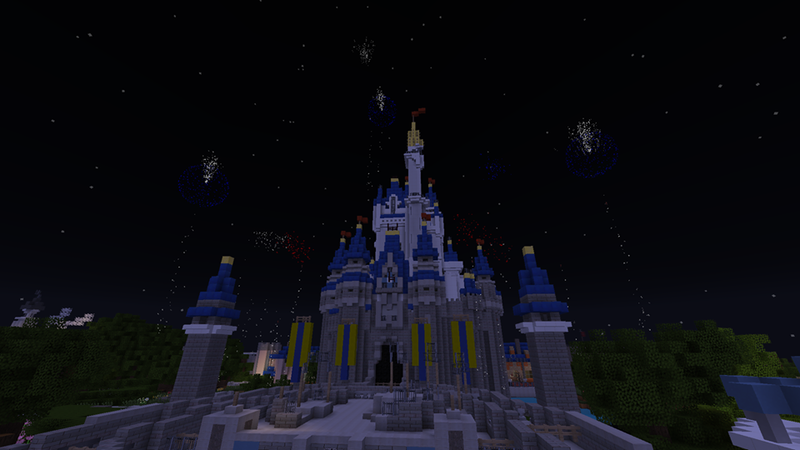 But I can go there on the MCMagic server, as long as I don’t mind a slightly blockier version. The server has been a work in progress for a while, but Business Insider recently spoke with David Wasman, who had the inspiration to recreate the park on his non-profit server for people like me who haven’t visited it, or people who will never be able to visit it. With help from friends and volunteers the park was recreated in three years, from classics like Splash Mountain to more obscure attraction like Rock ‘n’ Roller Coaster Starring Aerosmith, and the attractions are updated to match changes to the real Disney World. So far the server has had a quarter of a million visitors. “I knew I had something,” he says. “I knew that being able to take from that magic that Disney already created, I can’t take any credit for that. But I can at least continue it in some way. It’s an homage, really,” Wasman said. Check out the site for the server here.